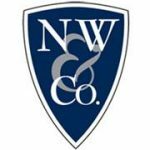 Nathan Wechsler & Company is a professional firm with offices in Concord, Keene, and Lebanon, NH. They work with closely-held businesses, nonprofits, and other industries in terms of accounting, bookkeeping, payroll, and tax services. They also provide small business services, business succession planning, litigation consulting, and QuickBooks training and troubleshooting. Work For Nathan Wechsler & Company? Claim This Page.